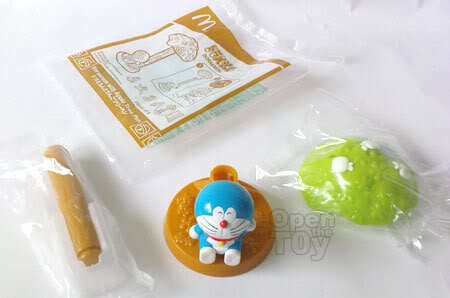 After my last Doraemon Happy Meal collectibles, I told myself I had collected what I wanted. But last week, when I was deciding what to eat for dinner, I head for McDonalds again. Since I was there, I decide to get a Happy meal toys. 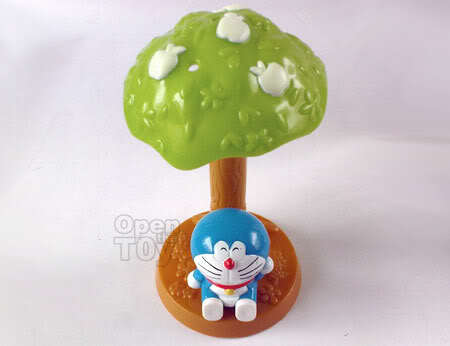 I have to choose between the Sketcher Door Doraemon and the Apple Tree Pen Doraemon. For display purposes, I went for the Apple Tree Pen. Is a simple three pieces Diorama looking set. Once again, the sitting Doraemon was very well done. Too bad they didn't paint the base flowers and grass. 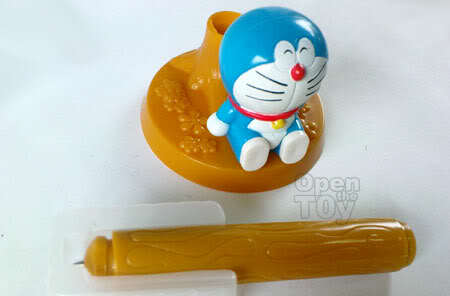 At the back of Doraemon's head was a hole for the screw to keep the pieces together. 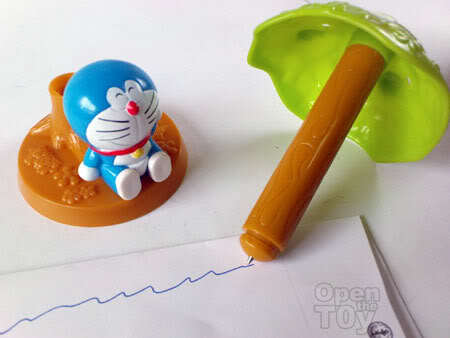 No matter what, Doraemon seems happy and the pen was designed to be a tree trunk. I love the apples. If you are going to ask why the color of the apples are White and not Red, I can assure you it is not because they want to make it iPod looking. It is simply because these apples will glow in the dark. I only know these when I off my room light when I was about to turn in. Cool touch. Putting the pieces together was a breeze. They are well fitted with no loose joints. What is a pen if it can't write well? So I made some scribble with the pen and the ink came out smoothly. For the last part, the fitting of the Pen to the base was firm and it stand well as a tree. 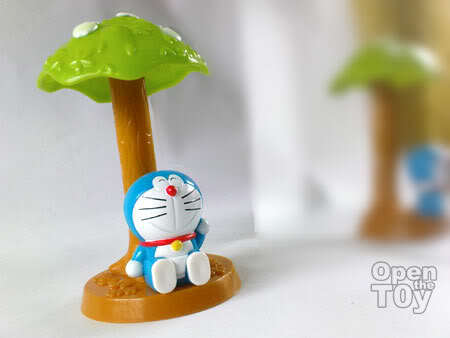 Why Doraemon seems so happy maybe there will not be any mouse or Rat under the tree. Maybe snakes but Doraemon is not afraid of that. By now many of you may guess this is a Doraemon month. Didn't you notice the banner and the topic are more to Doraemon? It may come out smooth, but I can't quite imagine writing with a tree... for one, won't the leaves block your line of sight, lol? I still prefer the one you made for your banner. 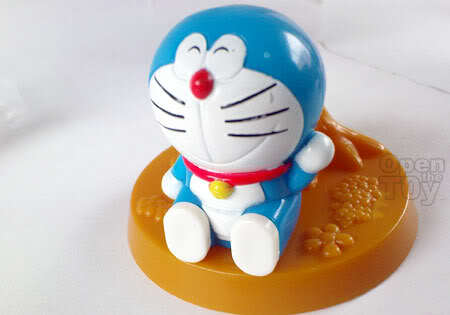 That is the signature which Doraemon travels with time machine.. I totally missed out the disney Mac toy that time. Don't have any recollection of them until I read your post. 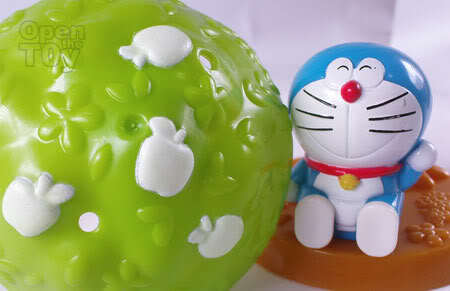 i only got the time machine and stamp roller.. i think the doraemon for this apple tree is too small..
SK Malaysia also having Doraemon as Happy meal? Cool! 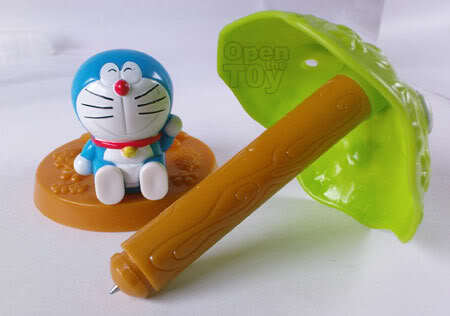 I admit this doraemon is small but any bigger, the pen need to be bigger too. I guess you won't be collecting the red doraemon also due to the size? I only discovered it when i visited Macs near Jurong for a late night snack!!! Now I have only the time machine. Want to collect the others too!! i managed to get the red doraemon with the aeroplane, and the very first doraemon on the leaf!! it was the one on display. Leon, i submitted my answers for the Doraemon quiz!! !